Home » Films » Some fellas join the cast of No. 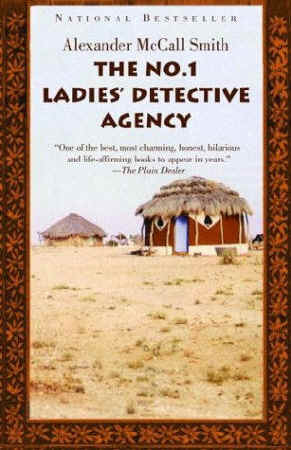 1 Ladies Detective Agency. As I reported a few days ago, the main two female roles, for N1LDA, have been cast. Now we have some fellas joining the cast. Idris Elba: This is the one that has me jacked. This is Stringer Bell from HBO’s The Wire. If you are not familiar with The Wire, order seasons one through three right now! He recently appeared in 28 Days Later and Daddy’s Little Girls, and will next be seen with Denzel Washington and Russell Crowe in American Gangster. Colin Salmon: This british actor has appeared in many British crime shows including Prime Suspect, Lovejoy and Murder in Mind, and was regular on Keen Eddie (playing Supt. Nathanial Johnson). On the big screen, he was Charles Robinson in the Bond flicks Tomorrow Never Dies, The World is Not Enough and Die Another Day. David Oyelowo: Was a regular on the British series MI-5 (as Danny Hunter) and played Dr. Thomas Junju in The Last King of Scotland. The next two actors are connected enough that I am going to talk about them as a pair. Winston Ntshona and John Kani: Winston and John were co-winners of the 1975 Tony award for best performance in a dramatic role for their performances in The Island and Sizwe Banzi is dead. In addition to playing lead roles, they also co-wrote both of the plays. The picture to the left is Kani and Ntshone reprising their roles in a 2006 revival of their acclaimed play Sizwe Banzi is Dead. Each of them made their big screen debut in 1974’s The Wild Geese. Winston has also appeared in Blood Diamond, The Air up there and The Dogs of War. John has appeared in The Ghost and the Darkness. Another interesting note: The entire thing will be shot on location in Botswana. The Botswana government will be investing $5 million in the film (likely to air on HBO). While I can’t see this causing stampede of production companies clamouring to set up shop in Botswana, if things go off without any real problems, it certainly could send a message to Hollywood studios that Botswana is a viable shooting location.